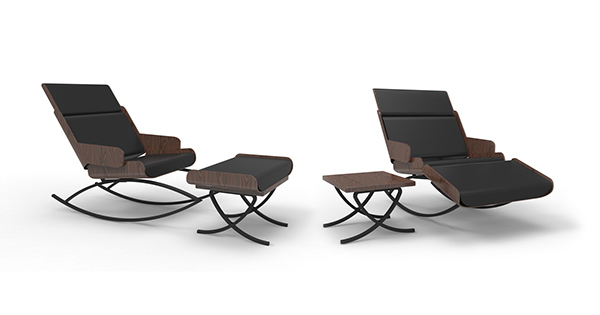 A rocking lounge chair redesign based on Eames 670 and 671. 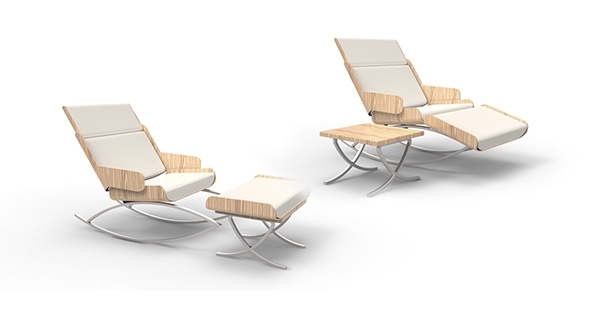 It is redesigned to have multiple use of the feet rest as a rocking chair. Based on the research, people have different ways of using a rocking chair. Some people like to put their whole body on the rocking chair while some people need a steady feet rest to feel safer. The first usage of this rocking chair is that the feet rest could be fixed on the rocking chair itself while the base underneath becomes a side table. The second usage of the rocking chair is like the troditional rocking chair with a separate feet rest. A school project "Iconic redesign" in The evolution of furniture design class.